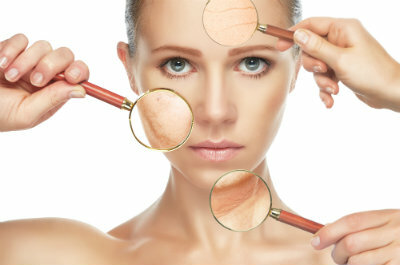 Skin pigmentation problems such as age spots or blotchiness have many different causes and can occur in all skin types. Because we only address issues with the face, Dr. Jones likes his patients to be well informed about the facial skin problems such as pigmentation. For patients with lighter skin tones, the main cause of pigmentation issues is the sun. Years of exposure to the sun’s UV rays can result in spotted hyperpigmentation, a condition marked by an increase in pigment production that results in patchy skin color or a blotchy complexion. The extent of the issues, obviously, is influenced by the amount of long-term exposure, and also its intensity. Dark spots from early sun damage in these cases tend to be more superficial. These spots can be treated with products containing hydroquinone. Superficial peels, typically glycolic acid, can be used when topical options don’t have much effect. Intense Pulsed Light (IPL) can be used to make these dark spots peel off. In patients with darker skin tones, the two most common pigmentation problems are melasma and post-inflammatory hyperpigmentation. Melasma is a patchy brown discoloration that shows itself on exposed areas of the face. It often occurs during pregnancy and is known as “the mask of pregnancy.” Because melasma often affects the dermis (the skin layer beneath the epidermis), it can be more difficult to treat. Post-inflammatory hyperpigmentation occurs when there is an injury or inflammation that causes the skin to increase pigment production. The most common cause is acne, but the condition can also arise from psoriasis, a burn, or injury. Because he only deals with facial issues, Dr. Jones is well versed in all treatments of facial pigmentation problems. Call us at 405.418.5400 to make an appointment.